European data has been gravely disappointing as Draghi tries to pull the region out of QE. 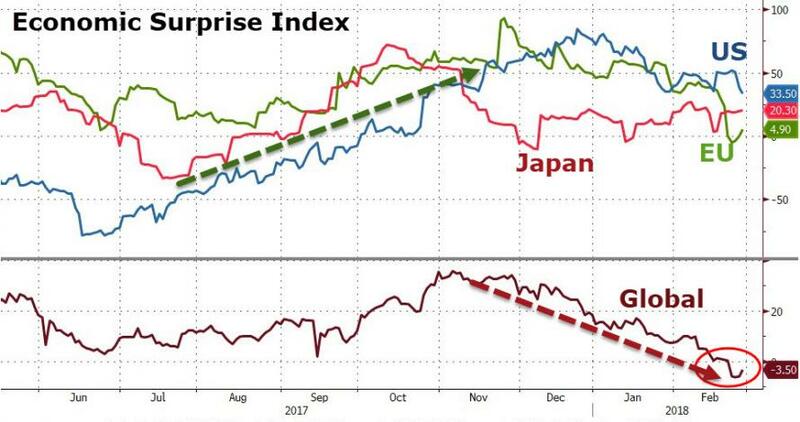 And tonight we get confirmation of Asia's demise as first Japan and then China show signs of serious economic slowdowns. 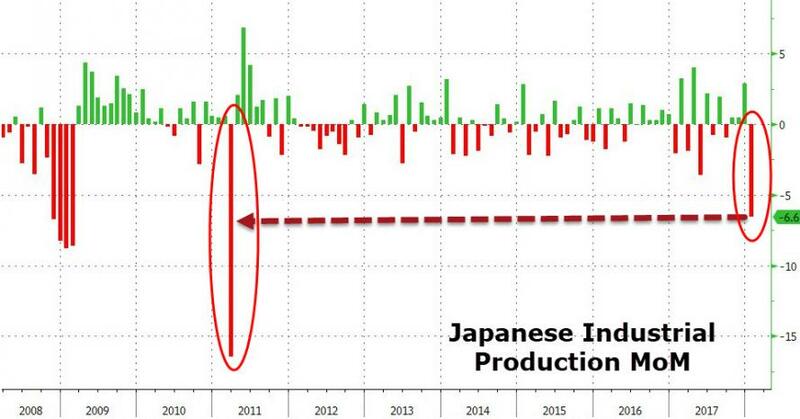 But then Japanese Industrial Production crashed 6.6% MoM - its biggest collapse since the 2011 tsunami! 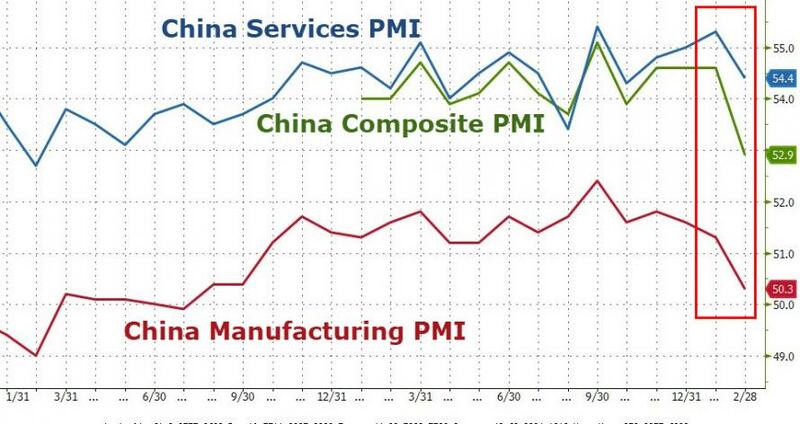 Even allowing for the lunar new year's distortions, Chinese PMI data is a disaster, piling on to the disaster that saw 1st Tier home prices sink most since 2015, and Anbang Insurance bailed out by regulators (due to liquidity concerns). 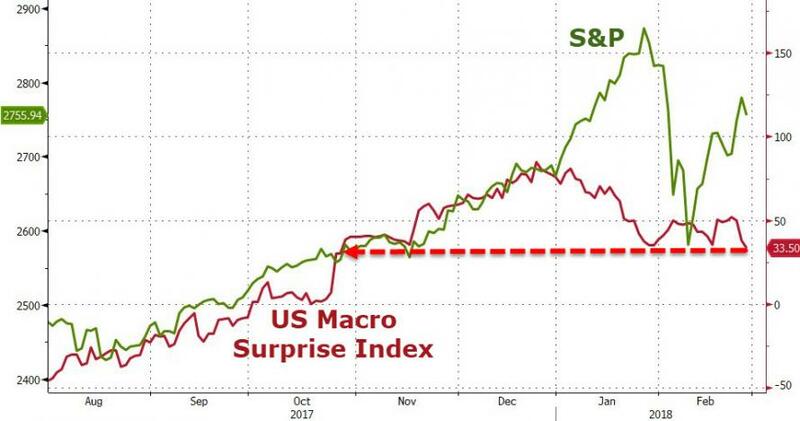 While some suggested pollution curbs (or regulatory efforts to control debt and leverage) could be blamed for the declines, consensus economists were likely fully aware of the calendar and the government policies and still drastically misplaced their optimism. The Manufacturing PMI fell to 50.3, compared with a 51.1 forecast in Bloomberg’s economist survey and 51.3 the prior month. Under the hood in manufacturing, both imports and new export orders contracted (readings below 50), and input and output price growth slumped, with small enterprises dominating the collapse. 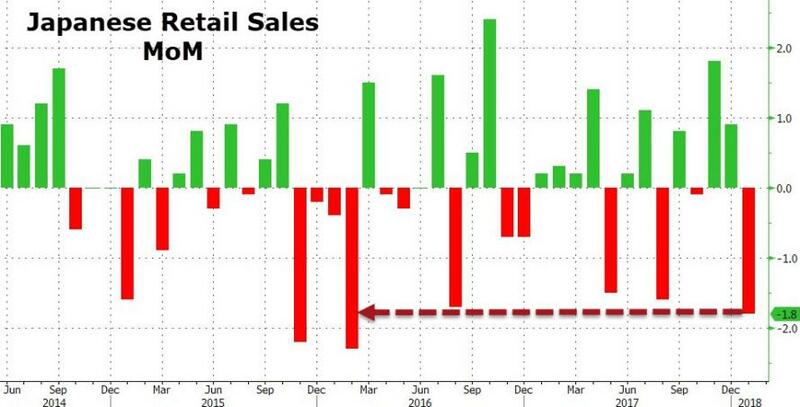 The Non-Manufacturing PMI slipped to 54.4 from 55.3 the prior month, the statistics bureau said Wednesday. The Steel Industry PMI sunk to 49.5, below 50, signaling a contraction as output collapsed. Coming later tonight is Indian PMI, Malaysian inflation, Thailand trade data and Hong Kong GDP figures... so there's still hope?